The annual hard rock and metal festival known as Rock on the Range isn’t returning in 2019, and in its place will be the first-ever Sonic Temple Art + Music Festival. Festival organizers have announced the initial lineup for Sonic Temple, and it’s jam-packed with some of the biggest names in rock. 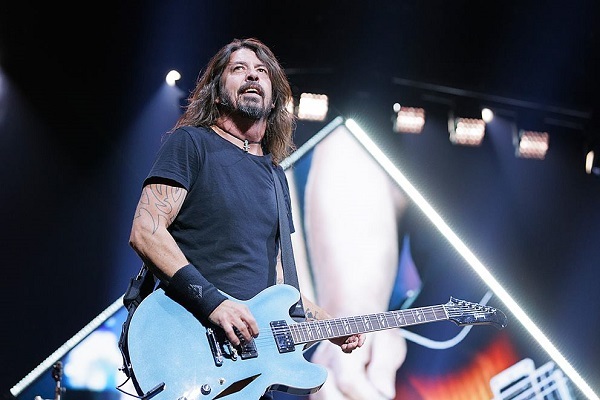 Foo Fighters, Disturbed and System of a Down will all perform headlining sets at the festival. Other artists set to appear include Bring Me The Horizon, the Prodigy, Ghost, Halestorm, Lamb of God, Chevelle, Joan Jett and the Blackhearts, In This Moment, Gojira, Killswitch Engage, Avatar, the Struts and the Cult. The festival will have three music stages, premium food and beverage selections, art installations and other onsite experiences. Sonic Temple Art + Music Festival will take place from May 17 through 19 at MAPFRE Stadium In Columbus, Ohio. Tickets for the festival go on sale starting at noon ET on Friday (Nov. 30). Ticket options include general admission, VIP, premium VIP and camping packages. For information and tickets, visit SonicTempleFestival.com.